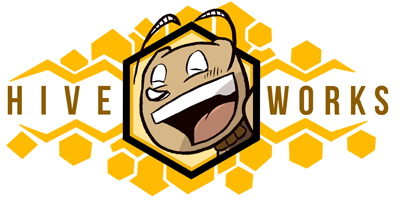 If you read a lot of webcomics -- and odds are, if you're here, you probably do -- you're likely already familiar with Hiveworks. 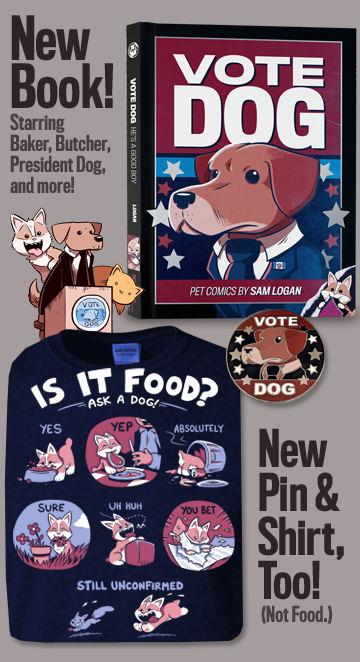 For those who aren't: it's a big webcomic publisher. Look at all those member webcomics! I bet you read at least one of them. Well, despite the fact that I'm old and cranky and set in my ways, I've decided to try collaborating with 'em myself as an independent affiliate. 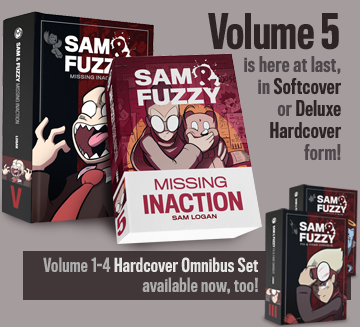 Starting today, Hiveworks will be promoting Sam and Fuzzy, and little Fuzzy noggins will start showing up in the comic jump bars found on various Hiveworks sites (like the one I've added to my own site, just above this post). They'll also be taking over management of all the outside web adspace on the site, which should help crack down on those stupid auto-forwarding mobile ads that have been sneaking onto Sam and Fuzzy for some iOS and Android users. Other than that, it'll be business as usual around here... just possibly business as usual in front of a few extra sets of eyeballs! The grand finale of Corporate Cat's Flvr saga arrives on Friday, as will a new round of reader Q and A. (If you've got a question you'd like to ask, just pop it in an email with "Q and A" in the subject line!) See you then, team!